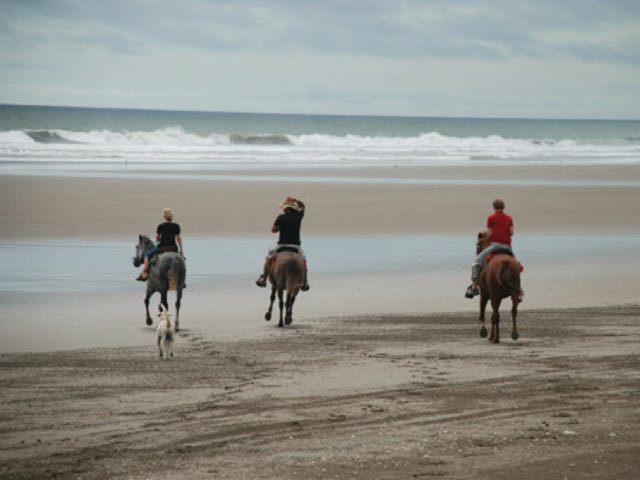 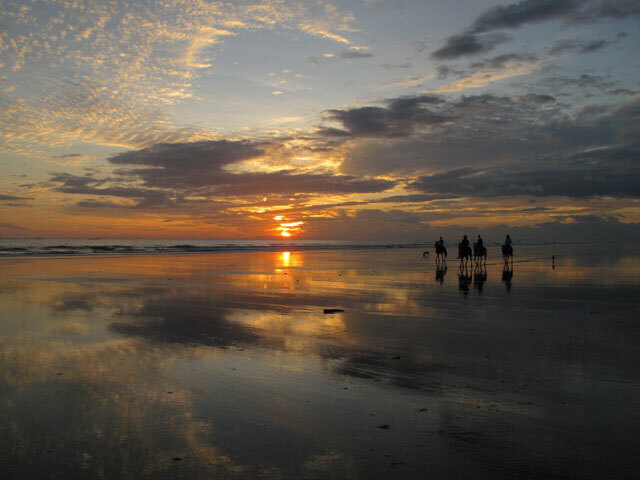 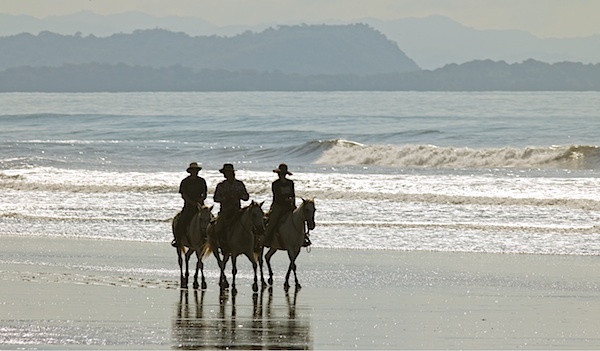 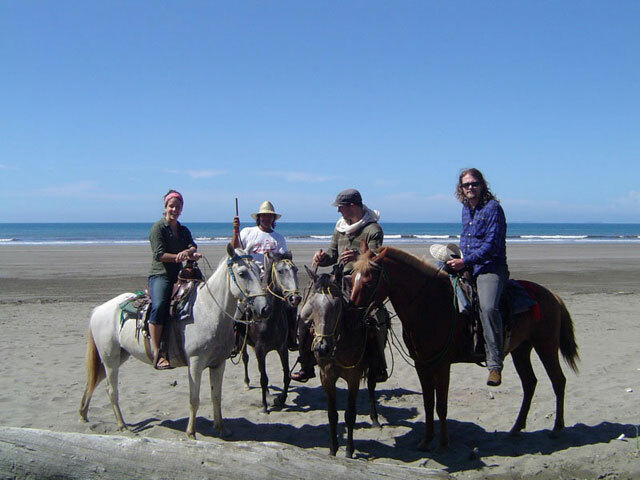 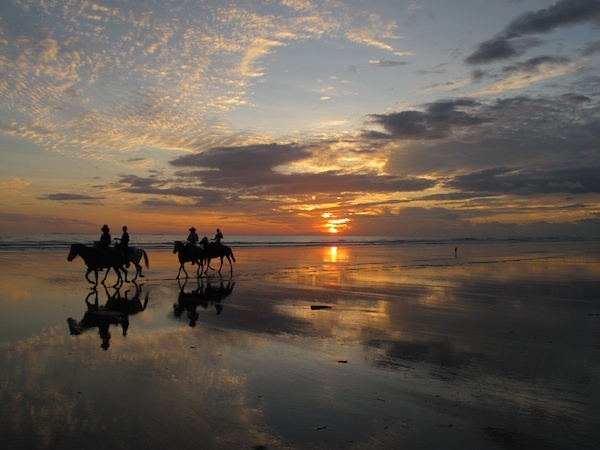 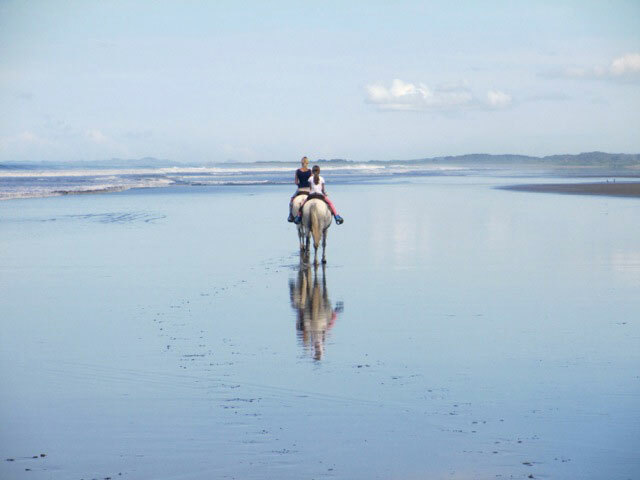 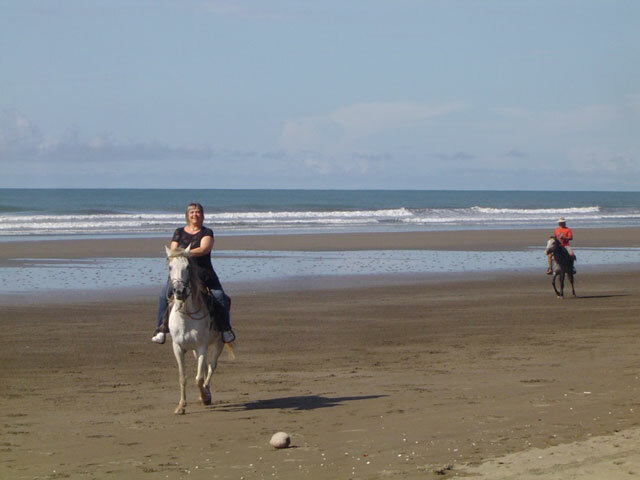 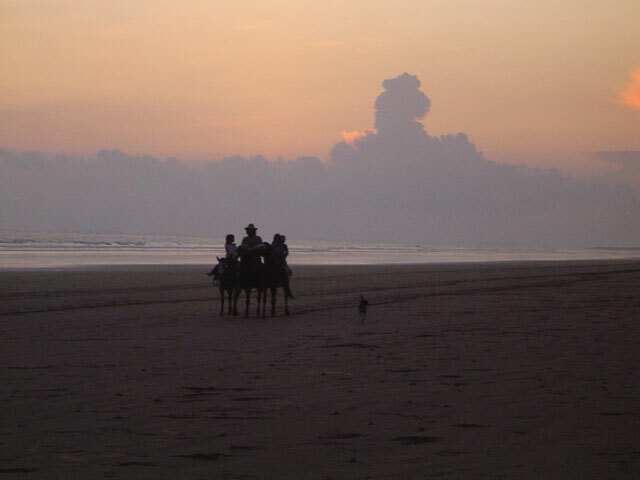 Whether or not you are experienced, Playa Las Lajas is an excellent beach to ride a horse on. 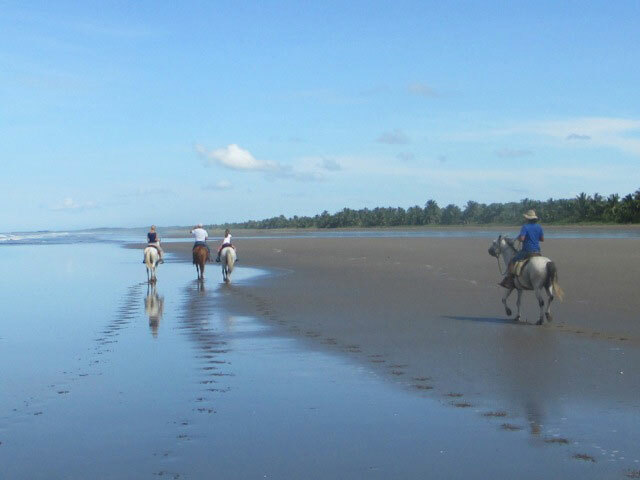 Following the long palm lined coast you can reach the river mouth and explore the interesting nature of the estuary. 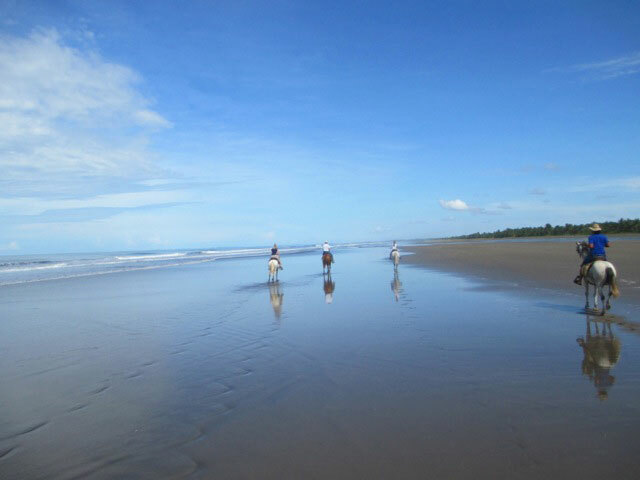 Our guided tour will take about one and a half hours. 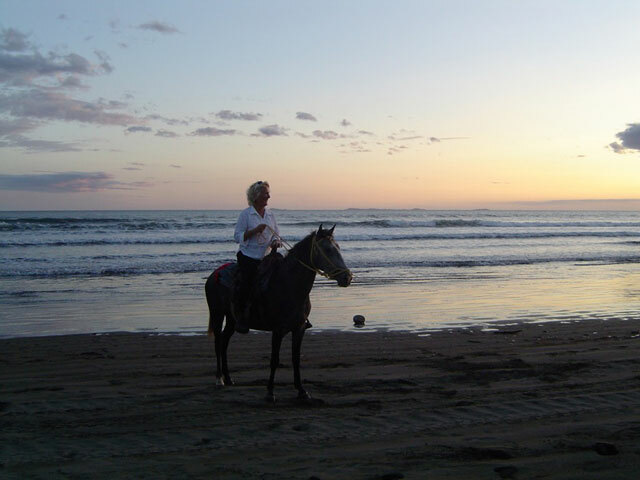 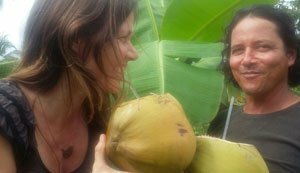 All our horses are in excellent shape and well trained by your guide Gama. 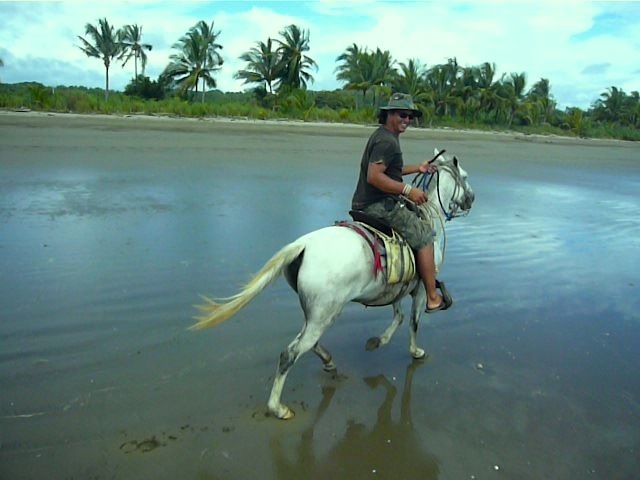 Who has ridden horses since he was a child and has worked 16 years as a ´Vaquero´, the spanish term for ´Cowboy´. 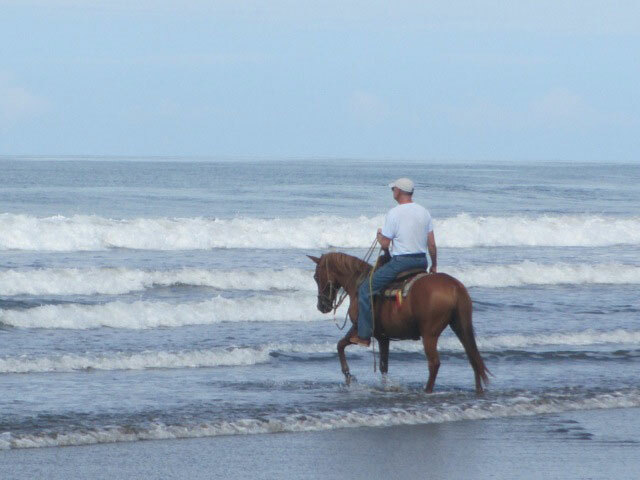 Born and raised in this area he knows how to find all the hidden treasures and takes pride and joy in showing the beauty of nature and teach you all the tricks to ride your horse as a Panamanian Vaquero!!!! 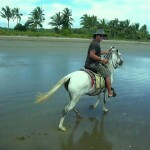 Rate: $30 p.p. 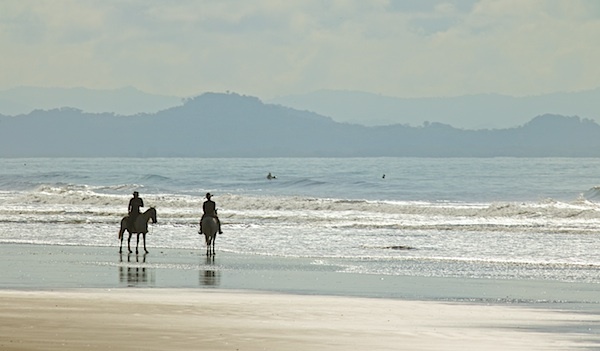 with a minimum of 2 people (cash only). 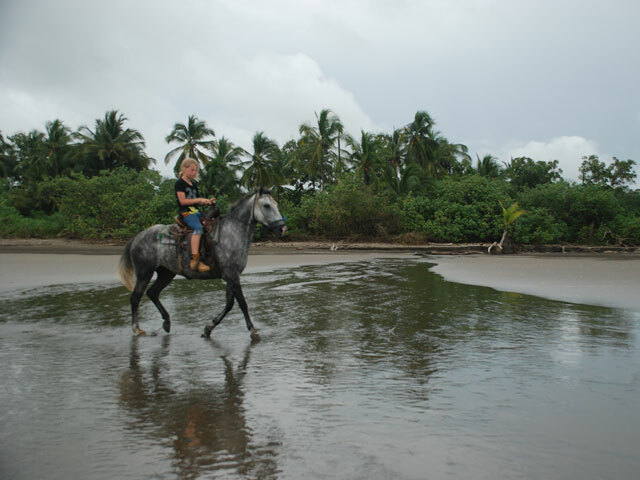 If you are interested to read more about the Panamanian Western Style horse riding, go to our blog ‘Cocalecatalk’.